Farrat Concrete Floating Floors and PLAS System used to isolate new 13-screen Empire Cinema and Bowling Alley, at The Buttermarket in Ipswich. 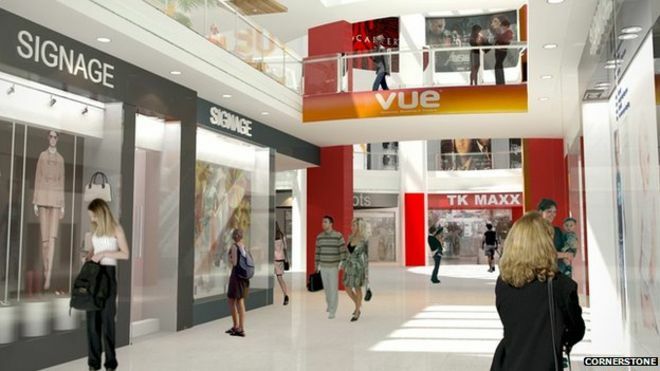 The Buttermarket Shopping Centre in Ipswich was recently re-developed by Maeve Contractors, working with Unick Architects, to include a brand new 13-Screen Empire cinema including an IMAX screen and a bowling alley. Farrat acoustic isolation systems ‘Farrat Concrete Floating Floors‘ and ‘PLAS Lightweight Partition Isolation Strips‘ were used in the cinema to achieve a Natural Frequency of 12Hz and Ambient Noise Level (inside auditoria) of NR25. Following successful completion of the cinema project, Farrat was also selected to provide the Acoustic Floating Floor for the bowling alley, achieving a Natural Frequency of 6Hz. “We design acoustic isolation systems every day at Farrat, however with applications like this one where you have a cinema (very noise sensitive) and a bowling alley (produces a lot of structure-borne noise) next to each other, it gives us an opportunity to really take advantage of our 55+ years of experience in vibration control. In this project we had an existing building with an unusually high structural fundamental mode, so the natural frequency of the cinema floors were designed to sit above this, and the bowling alley below, keeping all resonances as far away from each other as practically possible – Farrat’s Isomat floating floor isolators give us unparalleled flexibility in doing this, as we are able to choose almost any combination of dynamic stiffness and damping that we like, in a cost effective way”. For more information on this system, visit our Farrat Concrete Floating Floors page or contact our Technical Team. Alternately, download the specification from RIBA NBS here. Employers from across the North West came together yesterday to wear green ribbons in a new drive to end the stigma of talking about mental health in the workplace.